We’re getting global and chatting with international trade lawyer, Jessica Horwitz about the legal issues on Canada’s trade abroad. Topics: trade remedies; Canada-EU trade agreement; and foreign corruption legislation. 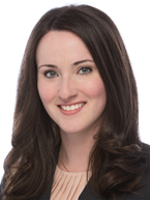 Jessica Horwitz is an international trade, customs and regulatory lawyer with Bennett Jones LLP in Toronto. She advises Canadian and international clients on a broad range of trade and investment matters, including import/export compliance, customs audits, trade remedy inquiries, WTO law, bilateral and regional free trade agreements, anti-corruption compliance, controlled goods and technology, economic sanctions, product regulation and labelling, corporate social responsibility and other cross-border issues. Jessica represents clients in trade verifications by the Canada Border Services Agency, trade remedy and appeal proceedings before the Canadian International Trade Tribunal and the Federal Court of Appeal, and regulatory investigations by the RCMP, the CBSA, Global Affairs Canada and foreign law enforcement agencies. She conducts internal investigations into potential trade and investment violations and assists businesses in designing and implementing anti-corruption controls and import/export compliance programs.